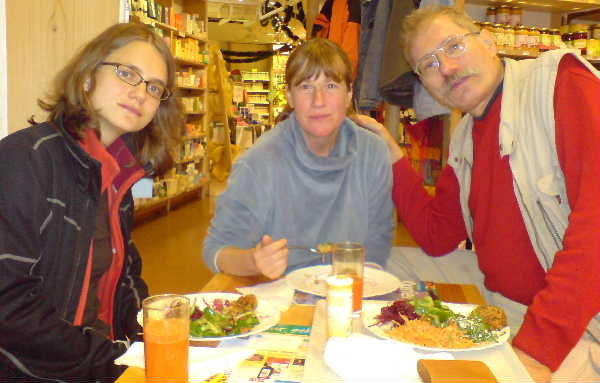 Friday, 12-8-2006: After 11 days and seven years studies Esther has finished her juristic examination in written form. She had to write five hours long complicated answers for sophisticated controversial legal questions. Her molar was hurting terrible. The dentist found, that the root of the teeth was rotten. But she stood the course, although she had to flush the tooth during the examination with alcohol. 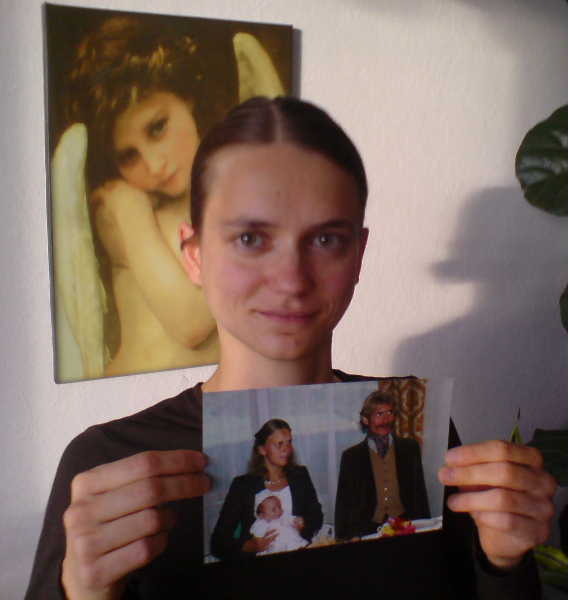 She holds her picture with her Mom and Dad, when she was baby. The Angel in the background decorates her appartment, where she lives alone. Her friend, mother and sister live in the same house and all help each other. Esther, Mima and I have food. 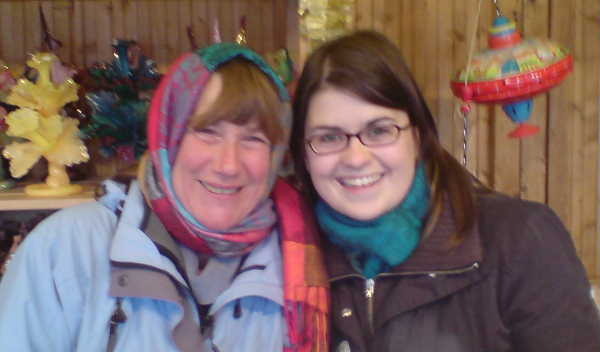 Mima has one hour break, when her student helper sells in her little hut on Bamberg Christmas Market. 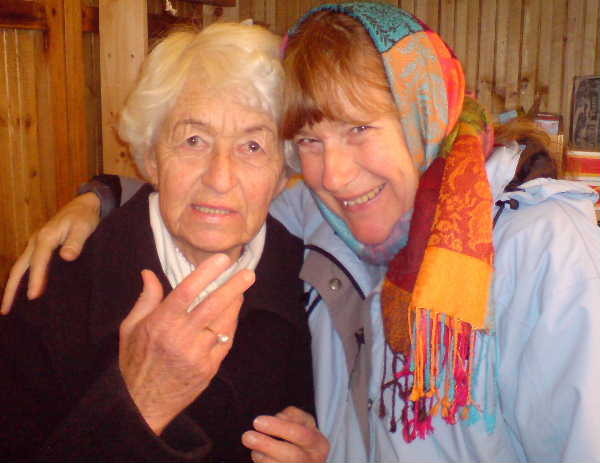 Esther and I relax six hours in the famous Sauna and thermal bath Staffelstein near Bamberg. But Mima continues her market sales from 9.00 a.m. till 7.00 p.m all days and four week long. Only on Sundays the Market opens at 11.00 a.m.
Mima and the student Pia are a wonderful sales team. Pia is five years younger than my doughter, 24 years younger than Mima. Left from Pia hangs from the roof the biggest spinner. This toy grumbles when you turn it around. one year around in South America. 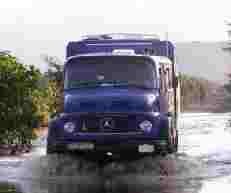 The link reports Klaus voyage, I print for Margarete. She gives me for my work self baked Christmas cookies. a common drink these days.